Moscow city worker Nikolai Bardayev did not celebrate Russia's shock win against Spain on Sunday that sent scores of Russians to the streets to celebrate. He was too busy cleaning up the mess. After a night of delirium as Russia reached the World Cup quarterfinals, on Monday morning cleanup crews tackled a mountain of trash and sweeping up cigarette butts and shards of broken glass left over from the celebrations. On a pedestrian street behind the Bolshoi Theatre, a loading vehicle drove away with 21 black bags filled with garbage and torn cardboard boxes as commuters wobbled through the city center with an enduring feeling of elation and, in some cases, hangovers. The smell of beer and urine lingered in the morning air. "I've been working this job for two years and have never seen anything like this," said Bardayev as he took a break from scrubbing the stained sidewalk. "I think it's related to Russia's win last night but also to people's upbringing." 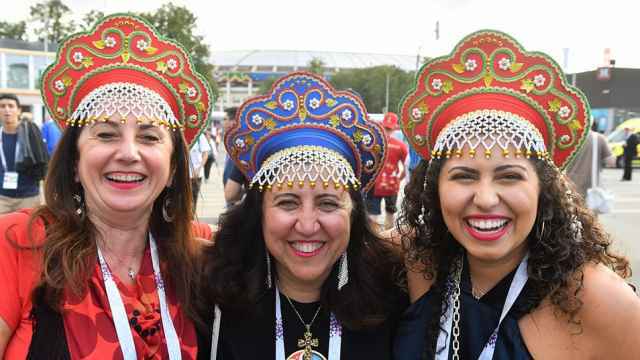 Since the start of the World Cup last month, Moscow's streets have been packed with foreign and local fans, wildly celebrating the football tournament until the small hours. Celebrations broke out immediately after the final whistle of Sunday's match in the heart of the Russian capital, with cars tooting their horns and fans gleefully dancing in the streets, bringing traffic to a stand-still. Kremlin spokesman Dmitry Peskov compared Sunday night's festivities to the celebrations at the end of World War II. "If we looked yesterday at the streets of many Russian cities, including Moscow, which I saw myself, it would probably be comparable in many respects to images of May 9, 1945," Peskov told reporters. Some fans in Moscow on Monday were still recovering from their emotional outbursts during and after the match. "We drank a lot. We drank and we sang," said Maria Leonovets, a 22-year-old Russia fan from neighboring Belarus with the Russian tricolour draped around her shoulders, carrying a water bottle to cure a light hangover. "My throat hurts." Lawmaker Vitaly Milonov, an outspoken lawmaker from the ruling United Russia party, suggested on Monday that Russians be given a day off to celebrate and recover after the national team's wins. "We of course have to give people the opportunity to rest for a half-day or a day if they want," Milonov told the Komsomolskaya Pravda tabloid's radio station. Russia, the lowest-ranked team in the World Cup, automatically qualified for the tournament as the host country. Convincing wins against Saudi Arabia and Egypt in the group stage saw Russia through to the round of 16 for the first time in the post-Soviet era. After beating Spain 4-3 on penalty kicks at Moscow's Luzhniki stadium, Russia will face Croatia in the quarterfinals on Saturday in Sochi, one of 11 World Cup host cities. Until then, Moscow is relishing a nation's unexpected success. "There were so many people, so much joy. 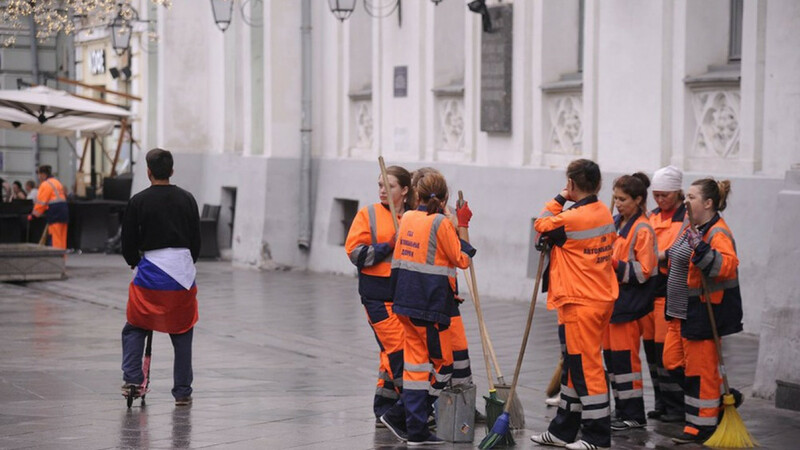 I've never seen anything like it," said street cleaner Klara Bubnova, as she rested on a bench on Nikolskaya street. "It reminds me of Victory Day," she added, referring to annual celebrations across Russia to mark the anniversary of the end of World War II. "Now we can say this about [football] too."